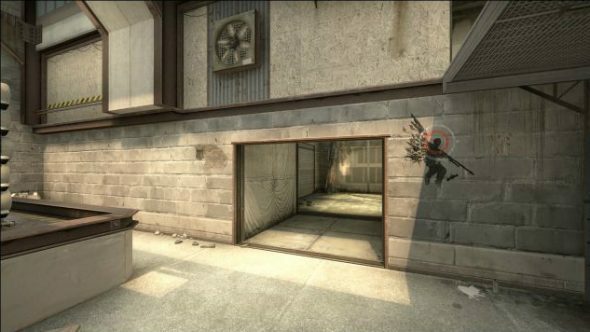 One of Counter-Strike: Global Offensive’s most popular maps might be getting a revamp, after level designer FMPONE teased a screenshot of what appears to be de_Cache on Twitter. FMPONE, who worked on the original de_Cache with Volcano and penE for Counter-Strike: Source back in 2011, posted the screenshot of what appears to be a very green and overgrown CT spawn last night and, naturally, it’s sent the CSGO community into overdrive. The rework, which has all but been confirmed by eagle-eyed fans on Twitter who spotted that the screenshot had been filed under NEWde_cache\LIVE\CT_Spawn, will become the fourth map to be reworked in CS:GO history and will join the ranks of de_nuke, de_inferno and de_dust2. Want to broaden your horizons? Take a look at our best FPS games. Like the other reworked maps, we can expect to see substantial visual upgrades made to de_cache and potentially new or revised areas to improve player movement. On the new de_dust2for example, the car on B spawn was moved ever so slightly to allow players to move around the site more freely, and the rest of the map was given a visual redesign to improve player spotting. Cache is certainly one of the more balanced maps in the active roster, but it will be interesting to see where FMPONE takes this and what map will replace it in the active roster during its testing stage. We may even see a return of some of the hostage maps like de_italy and de_aztec to the game in the near future. While we’re unsure on what exactly will be reworked and when it’ll be released, we do know that it will have quite a detrimental effect on FPS for players using lower-spec computers.